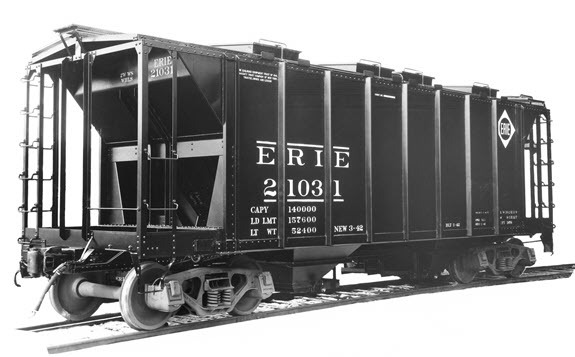 Between January and March 1941, the ERIE received 50, 70-ton dry bulk covered hopper Cars from American Car & Foundry under Lot 2289, as Series 21000-21049. 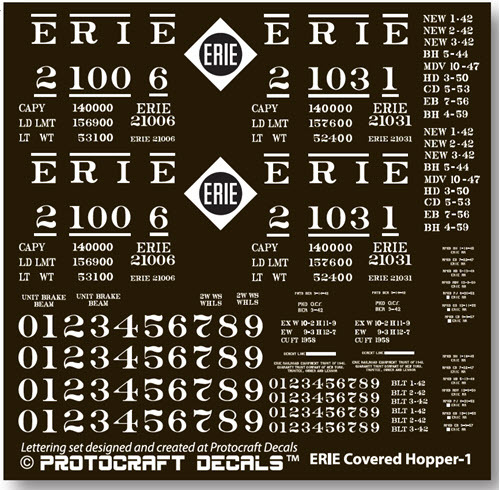 Paint & Lettering: Cars were painted all black; lettering was all white stencil paste. 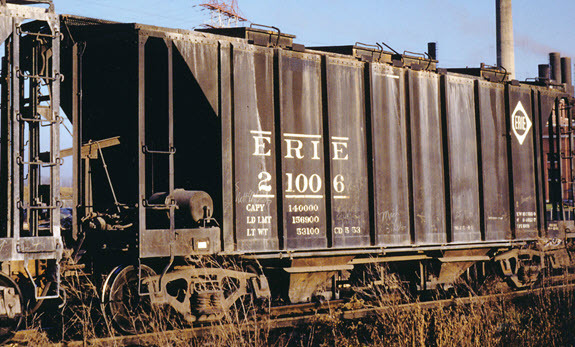 Between 1944 and 1946, the ERIE experimented with a gold diamond, but after 1946, returned to the all white diamond, and in 1947 went to a 6’ tall diamond for all freight cars. For a more comprehensive understanding of these cars refer to Ed Hawkins RP CYC Vol 27.